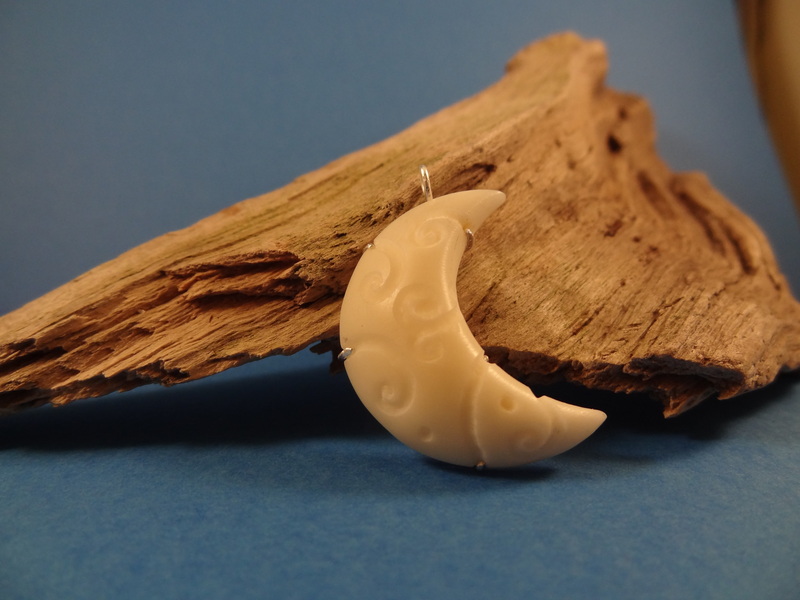 Carved from tagua nut, also known as vegetable ivory: endosperm of the fruit of the ‘plant elephant’, a kind of palm. 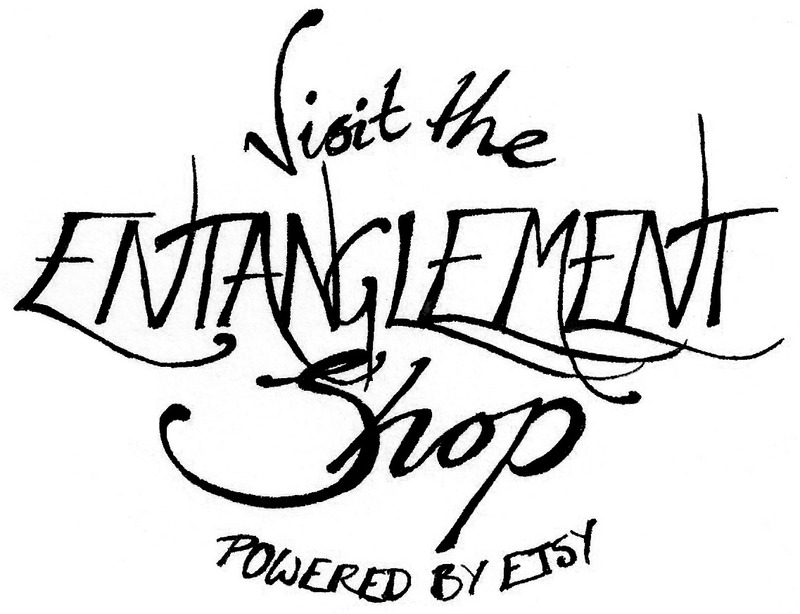 Married with a swirling filigree back in sterling silver, which gives it a bail for hanging. I shaped the crescent with the sanding drum and refined and polished it by hand, then inscribed the decorations with a bit of broken-off saw blade in the dremel, and improved their profile with a ball burr.